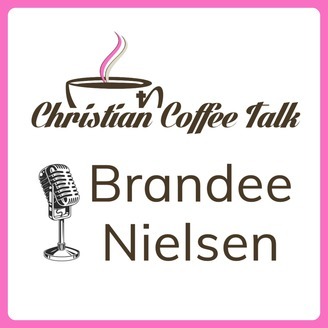 Christian Coffee Talk is a weekly podcast born from the Christian Coffee Talk for Women Online Community, founded by Brandee Nielsen, to "Encourage the Power, Hope and Purpose of Christ in Everyday Life." 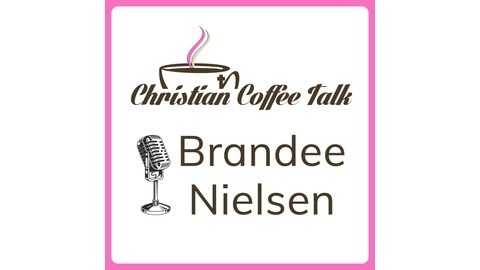 Each episode features a “Coffee Talk Topic” relevant to the everyday challenges and victories experienced by Christians walking out their faith in today’s world, and, fosters Revelation 12:11 among women. Guests on the show include international, national, and local well-known and unknown authors, artists, actors, speakers, ministry leaders, pastors, and other change makers. Tune in every Wednesday morning! Coffee Talk Topic: Why Suicide is Not the Answer This episode invites us into what might be going on in the mind of someone having suicidal thoughts, and how we can help, as experienced by our special guest when she had suicidal thoughts but overcame them. Featured Guest: Author Ashley Wichlenksi "Ashley told me in answer to one of my questions regarding a person who might be struggling with suicidal thoughts, but can’t seem to break through and reach out to someone, that she has a story to tell that person, perhaps you, that will blow, your, mind!" ~Brandee Ashley wrote The Keeper of My Heart during her quest for the truth about herself. Since then her book has been changing lives, and bringing Ashley's to new opportunities to share her testimony about overcoming suicide, which she had no idea God had planned for her to do as a result of her book. LINKS FROM THE SHOW If you or someone you know is having suicidal thoughts please call the National Suicide Prevention Lifeline toll free at 1-800-273-8255 available 24 hours Connect with Ashley at www.thekeeperofmyheart.com Don’t forget to subscribe to the Christian Coffee Talk Podcast on iTunes Podcast, Google Play Podcast, iHeartRadio, TuneIn, and Stitcher. Join our growing Online Community at www.facebookcom/groups/christiancoffeetalk to connect 24 hours a day, 7 days a week, 365 days a year! Check out our theme song, Jesus Kind Of Love by www.NateJacksonMusic.com.